Are you still worried there is no place to store books, water bottle, snacks and your phone while lying in bed within arm’s reach at all times? Now let Aiduy bedside storage to help you solve the problem. 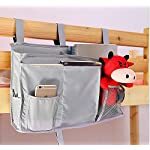 Aiduy bedside organizer is ideal for putting your phone, earphones, chargers, snacks, iPads, books, water bottle, etc into the compartments while you are in bed. Keep your nightstand free of clutter and always have the needed items at hand. Easy to find in the dark and just a short reach away. 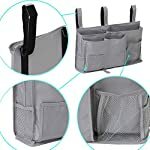 The caddy hanging organizer makes it very simple to charge the phone while you sleep without risk of dropping the phone. You just ran a long charging cord up to the bed caddy, and just plugs your phone in. Puts it in the sturdy bedside caddy and can go to bed, you will never need to get out of bed to plug the phone in, and your phone will always next to you within arm’s reach. 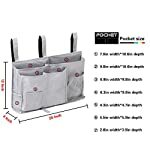 4 Various Pockets: 8 Total Pockets, 3 Mesh Pockets, 3 Adjustable velcro straps, 2 Big Pockets, 2 Middle Pockets, 1 Small Pockets. 5. 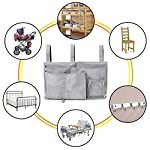 Package includes: 1 * multifunctional bedside storage bag.  Measures 19.2L * 11.4W * 3.9H inches, works great on any chair and bed with rails, baby stroller. 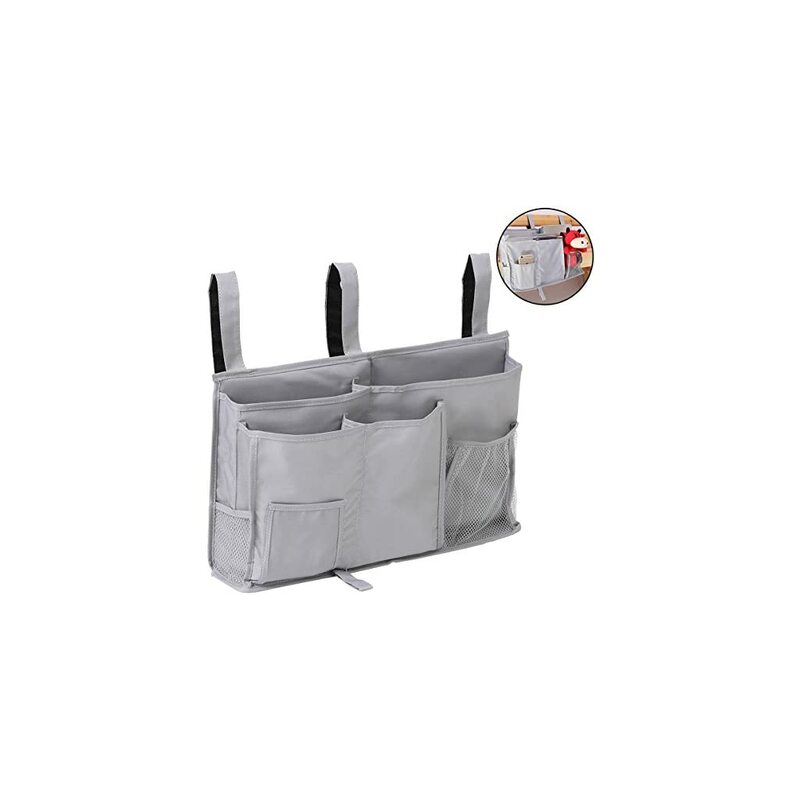  The bedside storage caddy is made of waterproof Oxford Fabric and convenient Velcro, Dacron Mesh, durable enough to withstand heavy weight. 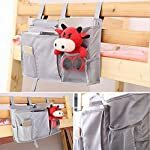  Equipped with 8 various pockets, great for holding whatever supplies you may use while lying in bed within your reach at all times. 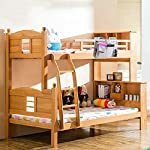  No assembly required and very easy to use, just attach the 3 velcro strap design on to any headboard or bed rail, it takes no more than 10 seconds to install the bedside caddy. 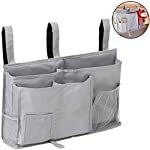  100% satisfaction guarantee, if you are not satisfied with our bedside organizer, please kindly let us know and we will refund you immediately. We are dedicated to your 100% satisfaction, if you are not totally happy with the bedside storage bag, return it hassle-free for a full refund.